Next week is quite an important one for me. 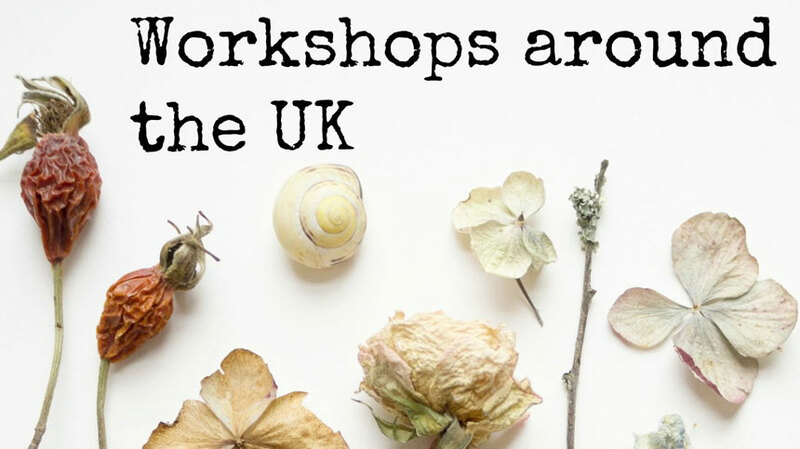 Two things are happening: a meeting in London and a meeting of sorts in my studio. Both require a mass of preparation and one may need a new frock so it’s ever so slightly frantic round here. Writing, planting, pruning, spider rehoming, photographing and weeding have been going on for a couple of weeks. The need for the odd twenty minutes of down time is more important than ever. I’m thrilled that I’m able to turn to crochet for relaxation. It took me thirty years to become familiar enough with those intricate loops that it stopped being a source of frustration and is now like yarny meditation. 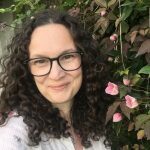 Crochet was my craft nemesis for decades and I’ve written about how it eventually became part of the everyday and a kind of woolly yoga for me in Standard Issue magazine. I made my first how-to video too. It’s here if you’d like to learn how to make a foundation chain – it’s the casting on of crochet. Have you heard of Stitchlinks? Betsan Corkhill runs this excellent organisation, working with the medical profession to investigate the beneficial effects of yarncraft. There’s no doubt that in recent months when my Mum in law was unwell and I was rather overwhelmed by the task of promoting the Comic Relief craft magazine crochet came to the rescue. The combination of hook and string seemed to drive down adrenaline. Hi Emma. I have just watched your video, it's the best one I've ever seen, your instructions are so clear. I have been trying on and off for ages to learn, I'm going to try those foundation chains again! Your video is super, really clear. 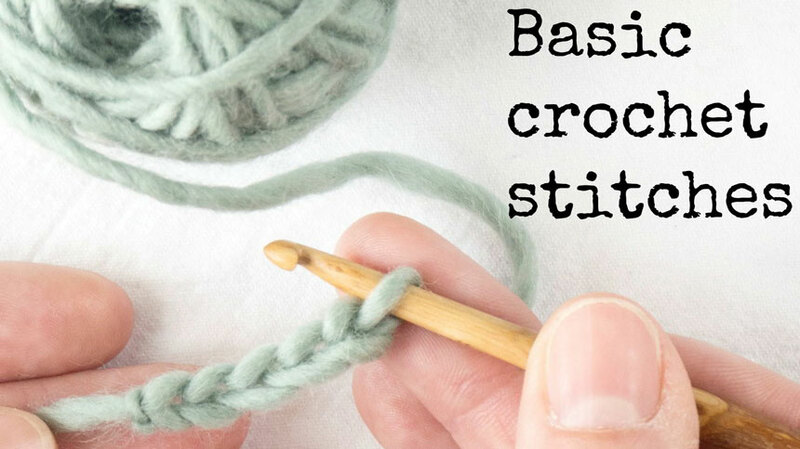 Hope it helps to get people giving crochet a try. I crochet to unwind, especially after a long shift on the ward. If things are all a kilter and if I need some me time and TLC. It calms my mind and it is peaceful. 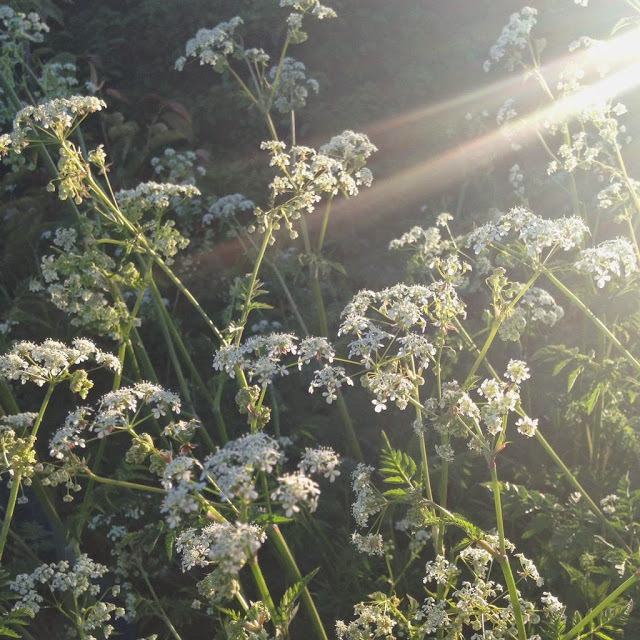 I love your crocheted cow parsley – it's turned out beautifully! Your cow parsley is beautiful – simple and very effective. I really agree about the therapeutic power of crochet – I love the rhythm and that few materials are needed. Perhaps it will be your fab video which finally gets me off the crochet starting line! Emma, it's clear from all I see here that you and crocheting have got a lasting friendship. Best wishes to you on gracefully traveling through any challenges that may approach you during all the busy ness of the coming days. 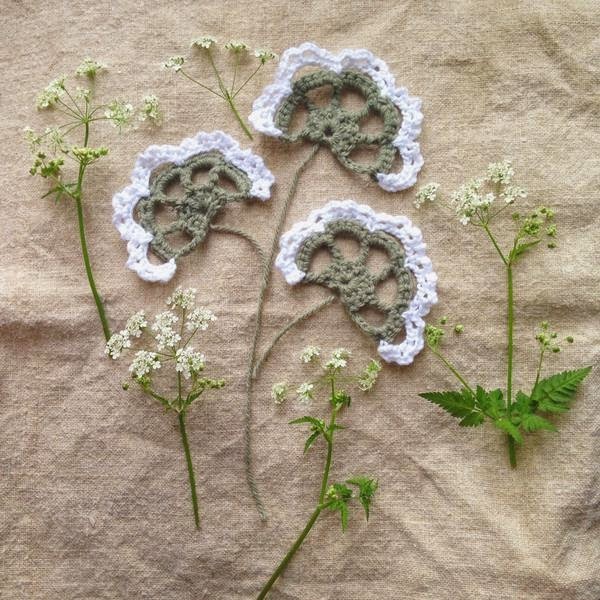 The crocheted cow parsley is a lovely idea. I'm surrounded by it as well at the moment and it influences my work too every time it appears! I hope your important week goes well. Oh please post the pattern! That shot on the hessian is divine. Best of luck with the big meetings! And thanks for the crochet inspiration – I've just learnt to knit, so am rapidly embracing the world of yarn. I'll definitely have a watch of your tutorial, thanks! I'm lucky to live very close to Hampstead Heath so I was out early yesterday admiring the cow parsley and campions, bliss! (I'd gone out to gather a few of the first elderflowers.) 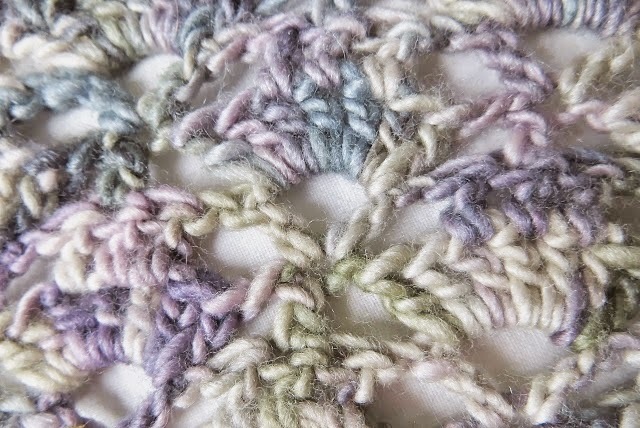 Your crochet is lovely – yes, please post the pattern, I could do with a change from granny squares! Sounds like some very exciting happenings for you Emma! And your crochet flowers are just beautiful! 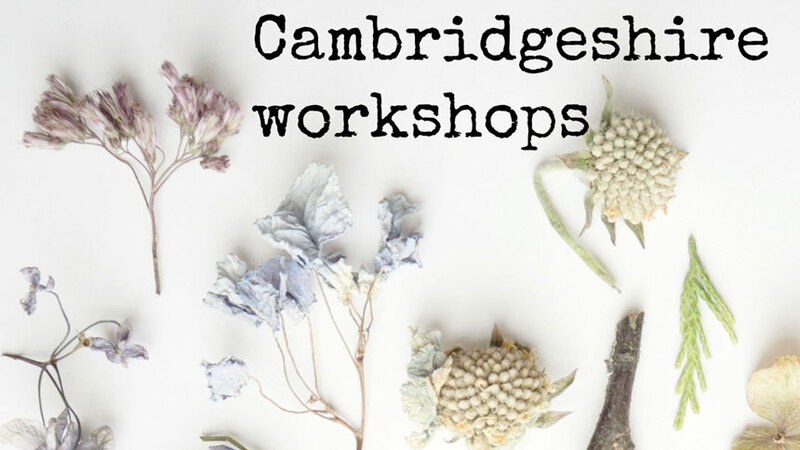 Just come across your wonderful site, I love how you write, your stunning jewellery and now I want to learn how to crochet…again, not done in YEARS! My sister lives up your way and I love it there, a fabulous part of the country! Bendigo born and bred, Clint Francis has always had a fascination with fixing phones. He began repairing phones for family and friends, and word spread. His hobby grew into a part time job, fixing phones from his home and a stall at the Sunday market.